There are a number of significant advantages to utilizing rail freight over other shipping methods when in relation to Project Cargo. Two major benefits to our clients are time optimization and cost savings. While road freight is a popular method of over-the-road transportation, the weight and size limitations of trucks means that complex trips must be taken if the shipper is sending an out of gage component one or thousands of miles. This means additional costs for fuel, specialized trucks, security, delays, possible and bottlenecks along the way. Heavy and high / wide components can be put on one of Fracht’s depressed railcars and transported across anywhere across North America more efficiently, saving you time and money. Our in-house rail team located in Houston, Texas, consists of rail engineers, site supervisors, project managers, railroad coordinators and expeditors which as a team, handle over 200 moves annually, with a 100% success rate. 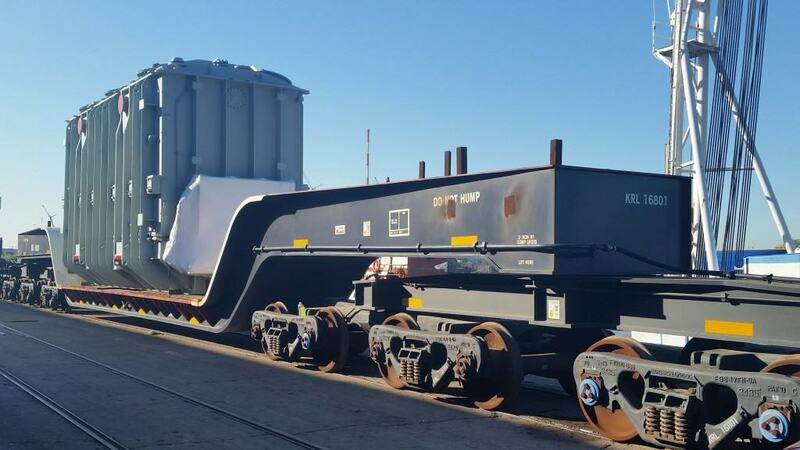 When the opportunity came to invest in what would be the beginning of a one- of-a-kind railcar fleet, Fracht’s innovative and out of the box mindset knew that project cargo transports would benefit from the acquisition. Fracht prides itself in being the owner of a new generation heavy duty railcar fleet capable of operating anywhere in North America. The fleet consists of two 8-axle railcars with a load capacity of 420,000lbs each, four 12-axle railcars each with a load capacity of 620,000 lbs and two 16-axle railcars with a load capacity of 810,000 lbs each. With their 36′ deck length and high load capacity, they are the perfect for moving components for your projects all across North America & Central America. Our railcars are specially designed and engineered to produce gains in carrying capacity. Each car is manufactured using T1 steel, making it lighter and able to handle heavier loads. Our depressed deck design allows the transportation of taller cargo. Challenging moves require innovative solutions. Our rail team has designed counter weights and turntables in order to move components that don't fit the typical transport dimensions, allowing for greater range of motion during transport. We understand the complexity of specialized transport. Our engineering team sets out to diagnose the most efficient way to handle your project providing route surveys, stress analysis and reports, detailed clearances and transport drawings. 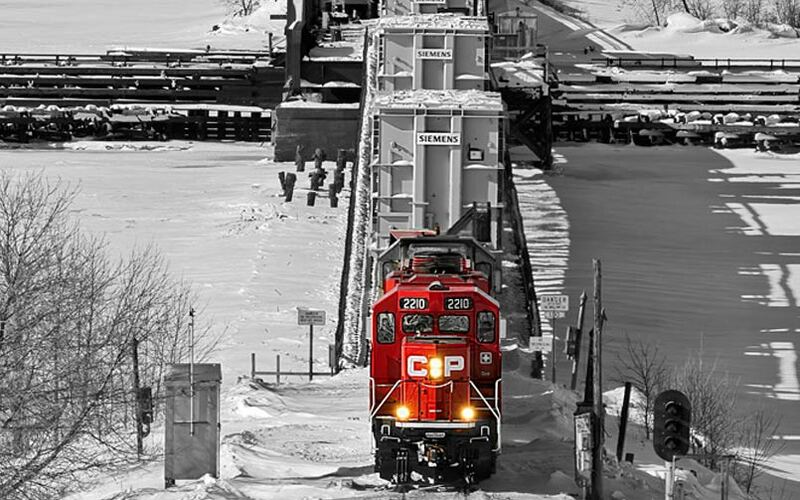 Our rail team consists of former railroad engineers, pricing specialists, transport engineers, site supervisors and project managers with over 100 years of rail experience in North America. We have a 100% success delivery rate and handle more than 200 rail moves annually. IS RAIL AN OPTION FOR YOU?